We collect food items for the MAC (Michiana Alliance of Care) food pantry in Mishawaka every week. A recommended food for the week is posted but any non perishable food item will be accepted. On the third Sunday of each month we collect non-perishable food items and money to be divided between Broadway Christian Parish in South Bend and Albright United Methodist Church in Mishawaka which houses the Real Services M.A.C. Food Pantry. 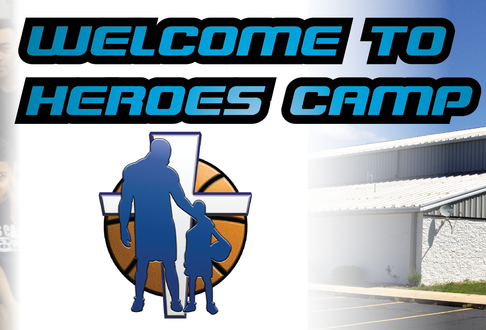 You can drop off items any day the church office is open or on Sunday mornings in the basket provided in the lobby. Our foster hope Ministry is involved in helping this Foster agency by providing tote bags and blankets for the new kids for placement. Keeping their clothes closet for the kids stocked and neat is a once a month project. Several times a year, we make care packages for the staff to encourage them. In 2014 we hosted a family fun day. Adopting specific foster families each month is our current project. We are looking for other ways we can participate to impact the lives of foster children. Physical help here is suspended while they recoup after losing their facility in a storm. Financial help is still needed. James 1:27 "Pure religion, undefiled before God and the Father, is this: to visit the fatherless and widows in their affliction, and to keep himself unspotted from the world." The Navigator's class sponsors this project through Samaritan's Purse Ministries. Each year we collect empty shoeboxes, wrap them, then fill them with items children in other countries might need or want. Items include a wash cloth, soap, toothpaste, toothbrush, stuffed animal, crayons, school supplies, toys etc. The packages are then hand delivered to a local collection point, then shipped to children all over the world. In 2011 we filled 13 shoeboxes to overflowing. 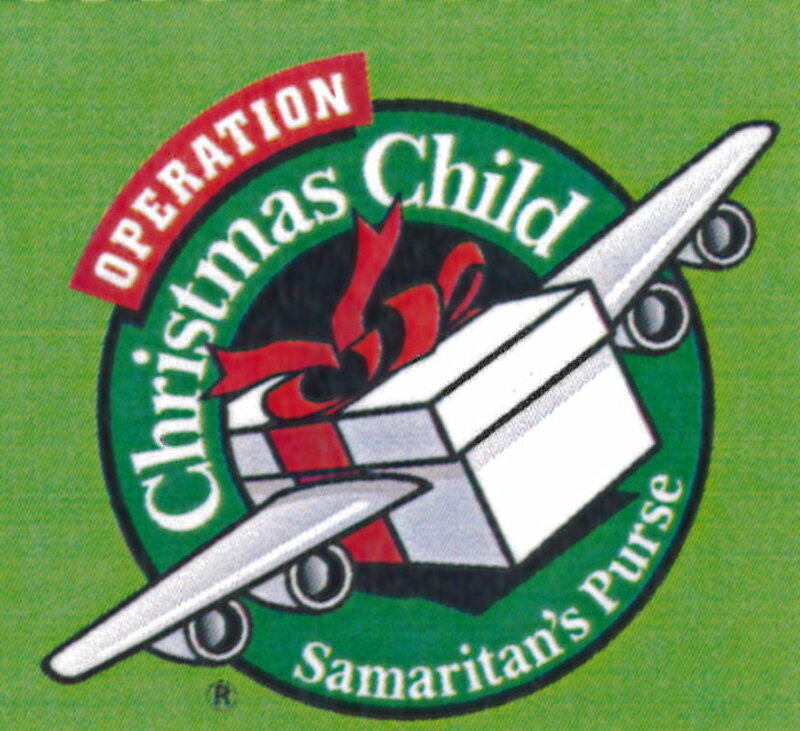 "The mission of Operation Christmas Child is to demonstrate God’s love in a tangible way to needy children around the world, and together with the local church worldwide, to share the Good News of Jesus Christ." After the boxes are delivered, Wherever appropriate, children are offered a copy of The Greatest Gift of All booklet in their own language by local churches and ministry partners. After the OCC distribution event, where appropriate, children who received shoe boxes are invited to participate in TGJ by the local churches and ministry partners. TGJ is a 12-lesson discipleship program, in the local language, from Samaritan’s Purse. It is utilized by the Operation Christmas Child project and is implemented by local churches and ministry partners. Children join with other children from their community to participate. Volunteers are trained to lead children through the lessons. Children who complete TGJ are awarded a personal certificate and many receive a copy of the New Testament in their local language. Coalbush Church has operated a food booth at the St. Joe County 4-H Fair for over 40 years. Our goal is to provide wholesome food at prices families can afford for the visitors, 4-H families and vendors. Members of the church and their friends take turns running the booth for all 9 days of the fair. The net profit is divided (50% to various missions both local and global) and the other portion is used for church needs. You too can be a part of this fun rewarding week as we get to know one another and serve in our community. Over 450 worker positions are available throughout the week. Several members of our congregation volunteer at the Ronald McDonald Room at Memorial Hospital in South Bend. One is the volunteer trainer for the facility. You too can get involved in helping families with critically ill children by staffing our local Room. Only steps away from a pediatric and intensive care unit, Ronald McDonald Family Rooms offer a place to rest and regroup right at the hospital, just moments away from their sick child. 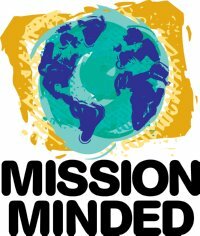 Various missions both local and abroad are supported by this group. Recently we made dinner for the Ronald McDonald Family Room at Memorial Hospital in South Bend. Area churches pool our resources and provide needed workers to renovate houses and yards in the Mishawaka area. Last year Coalbush helped paint an entire house and garage in 2 days! Any time there is a natural disaster (Hurricane, Tornado, Tsunami) we take up a special collection to be sent through the United Methodist Church (UMCOR) to provide immediate help. All of your gift goes to provide for the people involved. Again administrative costs are paid from other funds. UMCOR responds to natural or civil disasters of such magnitude that they overwhelm a community’s ability to recover on its own. Through UMCOR, United Methodists extend loving care to people within the United States, as well as those in Africa, Asia, Central and South America, and the Caribbean. These beneficiaries are seen as partners, not victims, and UMCOR works to empower them. Wherever possible, UMCOR cooperates with other aid organizations to extend its reach. Provides essential supplies and care—both physical and psychological—in the immediate aftermath of a disaster. 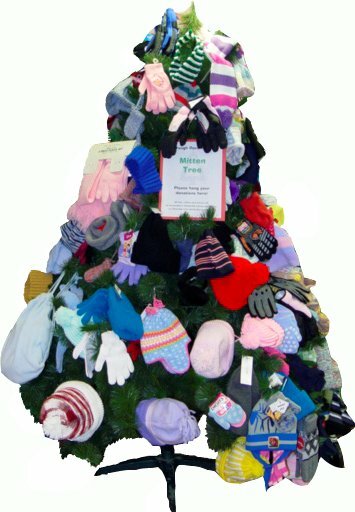 Every November we set up a tree in our entryway to collect mittens, gloves, hats and scarves to warm our less fortunate neighbors. Some are store bought, others are hand made throughout the year, but all are collected to give to Broadway Christian Parish to distribute to those in need during our cold winter months. 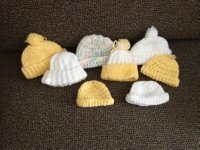 Several of our members knit and crochet making small hats for the Neonatal Intensive are Unit (NICU) at Memorial Hospital of South Bend. It's a fun way to use up leftover yarn and we even have a yarn stash at the church if you need some inspiration and suppplies. One of our Sunday school classes has chosen to sponsor 2 Compassion International children. This class had seen at least 2 children graduate from the program at 18 years of age. In response to the Great Commission, Compassion International exists as an advocate for children, to release them from their spiritual, economic, social and physical poverty and enable them to become responsible and fulfilled Christian adults. The Foundations class picks a different ministry each month to support. In 2012 they gave monetary support to campus ministry at Ball State, Therapy Dog ministry, a mission trip to Costa Rica and Hannah's house in Mishawaka. In 2013 they plan to support the Ronald McDonald Family Room at Memorial Hospital in South Bend, various students that are going on mission trips and other community projects. The Upper Room Sunday School Class sponsors various ministry projects including boxes for deployed military, teachers in Korea, serving meals at the Hope Rescue Mission in South Bend and other local projects.